3 Bedroom End of Terrace House For Sale in Braintree for Offers Over £275,000. 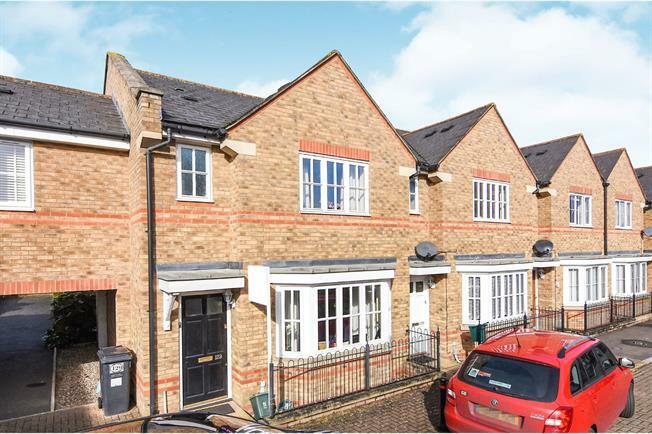 With three good sized bedrooms and generous reception space, this family sized home offers the perfect first time buy, buy to let or family home. The open plan feel to the ground floor reception rooms fills the downstairs with light and makes the rooms feel bright and airy. The low maintenance rear garden is a generous size and has been landscaped with areas of patio and slate chippings. The fenced boundaries lead to a private and un-overlooked rear. To the side of the property there is a single garage with driveway and additional parking along the street if required. With wood flooring and a neutral decor, the entrance hall offers a welcoming first impression when you enter the property. The bay fronted sitting room is open plan to the dining room at the rear. The low maintenance wood flooring flows through both reception rooms, and the light from the dual aspect windows and French doors is fantastic. At the rear of the property and open plan to the sitting room, there are French doors leading out to the garden. This room could be closed off to the sitting room and opened up to make a large kitchen diner if desired. At the rear of the property, the kitchen has a range of eye and base level units, inset stainless steel sink and space for all white goods. There is a built in oven and hob. Located under the stairs, the ever important ground floor WC has a low level toilet and wash hand basin. The master bedroom is at the front of the property and is a good size double room. There are a range of fitted wardrobes and access to a private En-Suite. The Master En-Suite comprises; single enclosure shower, low level WC and wash hand basin. The second double bedroom is at the rear of the property and overlooks the garden. Bedroom three is a generous sized single room at the rear of the property. The white bathroom suite offers; panel enclosed bath, low level WC and pedestal wash hand basin. The low maintenance rear garden is a generous size and has been landscaped with areas of patio and slate chippings. The fenced boundaries lead to a private and un-overlooked rear. To the side of the property there is a single garage with driveway and additional parking along the street if required.